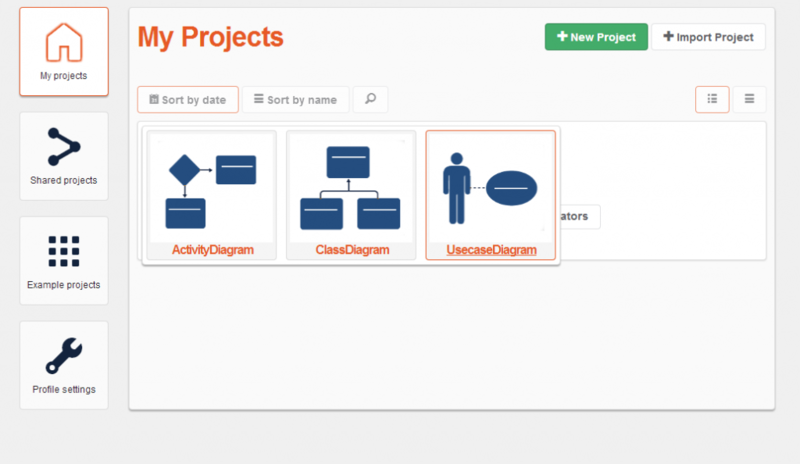 We’ve launched the brand new dashboard for your UML modeling projects. Find out what’s changed and what’s new! All of these changes are made possible thanks to our API. First off, don’t worry! All the features you know and love are still available. We’ve just improved things. 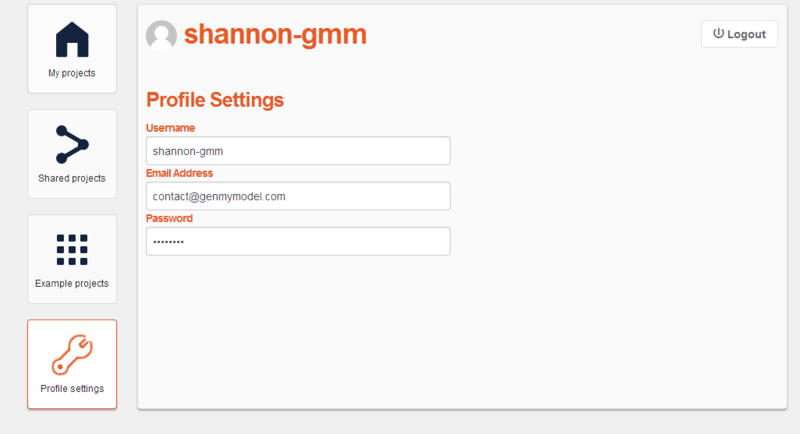 Now, when you log into your GenMyModel account, you will be taken to the new Dashboard. On your Dashboard, you’ll find everything you need for managing your projects and your account. Your user experience is important to us. We hope that the Dashboard will facilitate your projects by helping you organize your UML design models and find what you need as quickly as possible. The Dashboard allows you to save time and be more agile when designing your architecture. You can open up the exact diagram you want to work on right from the Dashboard and more. 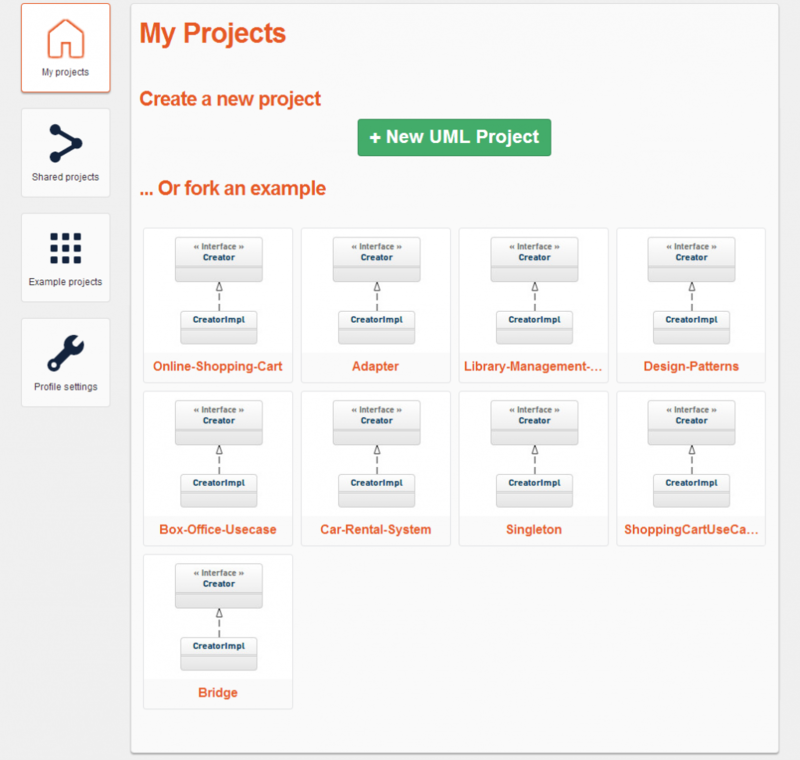 All of your projects will be listed under the “My Projects” tab of your dashboard. One tab per project. The editor will only show the project you’re working on. You will see all the diagrams of your current model available in the editor. In order to open a different project, you must do so from your Dashboard. 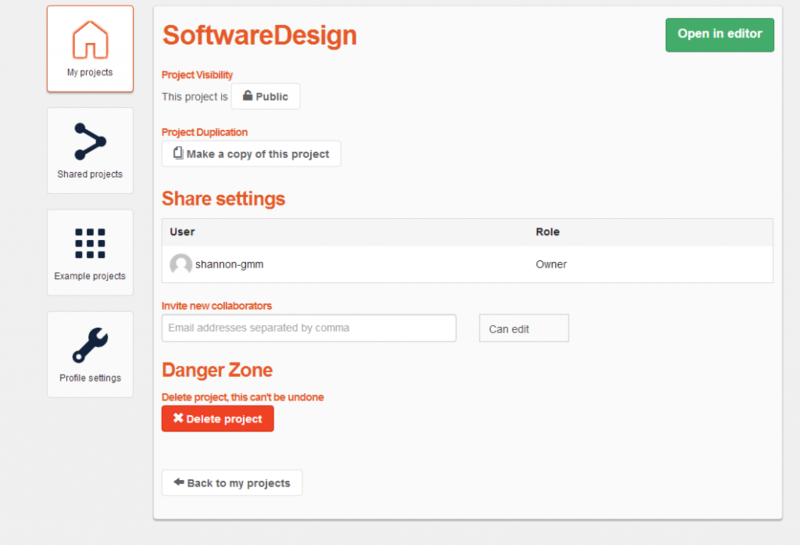 A new editor will open if you click on another project. These options are still available in the editor, but we also wanted them to be available to you in the Dashboard. Why? 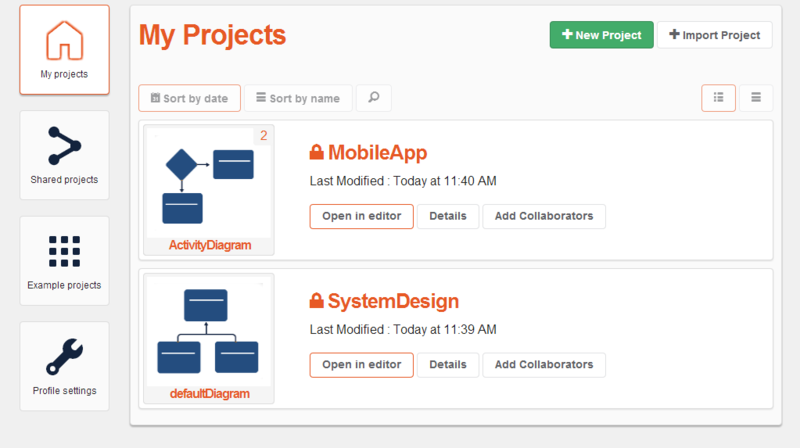 It’s easier to put the main features dedicated to project organization in the same place. You can focus on the design itself in the editor. 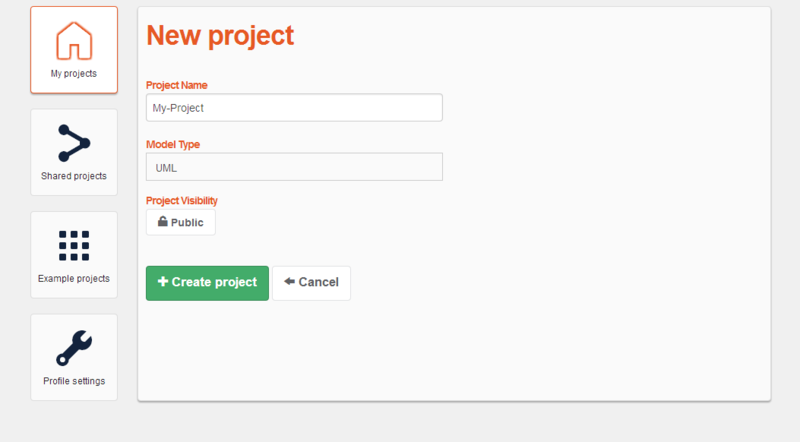 – You can now rename your projects and change their visibility (public or private). – Under the “Profile Settings” tab, you can change your username, e-mail address, and password. What do you think of the new Dashboard? We’d love your feedback!